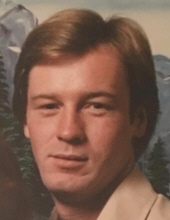 Timothy Wayne Case, 60, of Weyers Cave, passed away Thursday, April 11, 2019 at UnityPoint Trinity Regional Medical Center in Fort Dodge, Iowa. Mr. Case was born on April 15, 1958 in Charleston, West Virginia, a son of the late Mervlan and Mary Louise (Postalwait) Case. Timothy was employed as a foreman for Old Dominion Insulation and was a hard worker. He was a giver and never told anyone “no”. Timothy spent every possible moment with his children and grandchildren because family was his life. He was a talented carpenter and enjoyed hunting and fishing. In addition to his parents, Mr. Case was preceded in death by an infant brother, Douglas Neal Case and a nephew, Daniel Case. Surviving is a daughter, Crystal Case and Bryan Mace of Verona; a son, Brian Case and his wife Jessica of Weyers Cave; three grandchildren, Collin Taylor, Cheyenne Samuel, and Anastasia Samuel; six siblings, Sharon Casto and her husband Gary of Craigsville, West Virginia, Larry Case and his wife Mildred of Churchville, Virginia, Mary (Shirley) Santomieri of Lyndhurst, Virginia, Terry Case of Montabello, Virginia, Patricia Case of Grottoes, Virginia, and Roger Case of Norfolk, Virginia; and numerous nieces and nephews. A Celebration of Life will be conducted 1:00 p.m. Saturday, April 20, 2019 in the Coffman Funeral Home Chapel. Memorial contributions may be made, in Timothy’s memory, to the Autism Society of America, 4340 East West Highway, Suite 350, Bethesda, Maryland 20814. To send flowers or a remembrance gift to the family of Timothy Wayne Case, please visit our Tribute Store. "Email Address" would like to share the life celebration of Timothy Wayne Case. Click on the "link" to go to share a favorite memory or leave a condolence message for the family.